More and more people are coming to realize that a "perfect water" system would combine the purity of Reverse Osmosis (RO) with the tremendous benefits provided by alkaline, ionized water. Historically, this has not been easily achieved for a variety of reasons. The WQA certified experts have solved the problem of combining these two phenomenal water technologies. Now you can have perfectly clean and perfectly healthy water! To keep your RO System functioning at an optimum level, its filters need to be changed annually. Additionally, the RO Membrane needs to be replaced every two years. 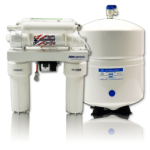 The RO Annual Replacement Package includes a Sediment Filter, a Carbon Block Filter, an Inline Re-mineralizing Filter (which uses calcite as a pH stabilizing media by sacrificing calcium carbonate into the water) , and a Taste & Odor (coconut shell GAC) Filter. CALL (941) 677-3312 or use our Contact Form. Please purchase this RO Annual Replacement Package if you are using an ionizer with one filter (ie: Venus, Melody, Delphi). 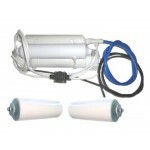 Please purchase this RO Annual Replacement Package if you are using an ionizer with two filters (ie: Athena or Vesta). 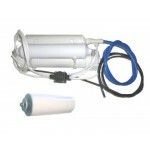 You may purchase a Replacement Membrane for your RO by clicking here. * Due to pressure / flow reduction, the undersink kit for the Athena or Melody CANNOT be used in conjunction with this product. Also, to give you the best possible performance, we include in this package the original Permeate Pump (ERP1000). This simple, yet revolutionary, device uses no electricity as it is powered by the hydraulic energy of brine water usually lost to the drain. In other words, the Permeate Pump forces product water into the storage tank, reducing membrane back pressure and maximizing available feed pressure. It also dramatically improve the efficiency of RO water production, reducing waste water by up to 80%.. Other benefits of this Aquatec Pump (as well as a higher delivery pressure) are up to 4 times faster RO water production, superior water quality and extended filter/membrane life. Tank: Height (including stand and valve): 17" - Diameter: 12"
RO Module: Height: 18" - Width: 15" - Depth: 5"
RO System IMPORTANT NOTE: If you have an ionizer with one filter (ie: Venus, Melody, Delphi), pleas..
RO System IMPORTANT NOTE: If you have an ionizer with two filters (ie: Athena or Vesta), please cho.. Please purchase this annual replacement package if you are using an ionizer with one filter (ie: Ven.. 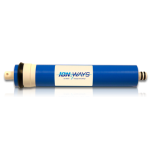 Please purchase this annual replacement package if you are using an ionizer with two filters (ie: At.. Stage three is the heart of the Reverse Osmosis System, the RO membrane. This semi permeable membran..